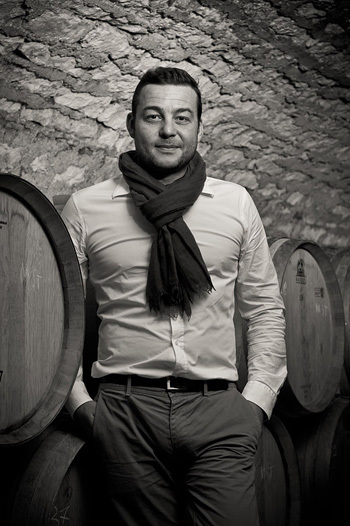 Clonal selection, along with harvest date, pressing technique and bottling procedure, are to blame for premox in white Burgundy, and not corks, declares Laroche head winemaker, Grégory Viennois. During an event in Portugal earlier this year, jointly organised by Domaine Laroche from Chablis and cork producer Amorim, Viennois outlined why he believed the great white wines of Burgundy had suffered from premature oxidation – or premox – which was thought to be most acute across vintages from 1996 to 2004. Notably, he said that factors other than the closure type were the mostly likely causes for the accelerated ageing of the wines – a surprising viewpoint from a winery that was, until the 2015 vintage, sealing all its wines with screwcap, having blamed poor-quality corks for its problems with premox at the end of the 90s. Speaking during a presentation on Laroche wines in June this year, he said that the anti-oxidant properties of phenolics in white grapes had not been fully appreciated for their role in preserving wines for the long term – particularly during the 90s, when producers began pressing grapes even more gently, and started “using a Willmes press on the same cycle as they use Champagne,” according to Viennois. But, before considering the issue of pressing, he stressed that it was necessary to have thick-skinned grapes for making fine whites, because they bring more tannins to the wine, which help protect the wine against oxidation. “It we compare a grape from a clone with one from a massale selection, then you find that when you taste the grapes, the one from the massale selection has a lot of tannins, it has thick skins, and with the clonal selection, you don’t have that,” he said. Continuing, he said that as a measure to ensure Laroche wines will age and develop slowly, the domaine has now decided to protect its old vine stock, and only replant by taking massale selections from such vineyards. He also said that he believed that Burgundy’s issue with premox was caused by harvesting later, because riper grapes have higher pHs and higher sugar levels, which both lead to less stable wines. Today, he said that Laroche harvest the grapes when they are “al dente”. Then he picked out the issue of pressing, explaining that producers were pressing too gently in the recent past, and therefore failing to extract enough of the beneficial tannins and anthocyannins from the grape skins. Nowadays, Viennois said that he never presses over 1.2bar, but does more rotations, to extract more “good tannins and anti-oxidants”. This means that the juice is more cloudy, but, having lots of sediment in the juice is not a concern for Viennois, because he allows for a natural oxidation of the must before fermentation. According to Viennois, Laroche has spent the past eight years studying the dissolution of oxygen in its wines, and, aside from picking earlier and favouring massale selections, as well as extracting more phenolics from the grapes, the domaine has employed further techniques to ensure its wine are stable, such as extended ageing on the lees – which bring “a natural protection against oxygen while releasing minerals and phenolics” – as well as a “natural stabilisation of the wine 6 months before bottling”. “Before, problems with premox were due to the preparation of the wine just before bottling,” he stated. Together, such approaches have also allowed Laroche to keep totals levels of Sulphur Dioxide low in its wines: with 60-70ppm total being today’s average. “We need to produce wines with all good components to have a natural protection against oxidation, but we don’t want to overprotect,” he said. Laroche, which owns 90 hectares of vineyards in Chablis, was the most famous proponent of screwcaps for wines, because Michel Laroche decided to move from cork to the aluminium closure for his entire range, including grand cru wines, back in 2001 – making him the first Burgundian producer to use the seal. At the time Michel Laroche said the move was motivated by problems with the natural cork supplied to his winery, commenting that as much as 10% of his wines from the 2000 vintage were affected by closure-related problems, whether that was TCA or so-called random oxidation. However, in November 2016, it was announced by Laroche, which was bought by Advini in 2010, that the Chablis producer had returned to cork. Key to its decision to make the switch back to cork were the advances of the cork industry in removing the risk of wine spoilage taints in the stopper, although the ecological benefits of cork versus other closures were also a factor for Laroche, which is embracing more natural approaches to its wine production, including the conversion to organic farming methods at its property. However, he also said that this was only done once Laroche could be assured that the whole-piece natural corks being supplied by Amorim to the Chablis producer were of the highest quality with no risk of tainting the wines. “The TCA of lots must be strictly less than 0.5ng/l, and when Amorim launched NDTech, we could see this was a beautiful solution, and it changed out life completely,” he said, referring to the advent of the NDTech cork – a stopper that comes with a non-detectable TCA guarantee, meaning that if there is any remnant of TCA in the cork, it is below the detection threshold of 0.5 nanograms/litre. 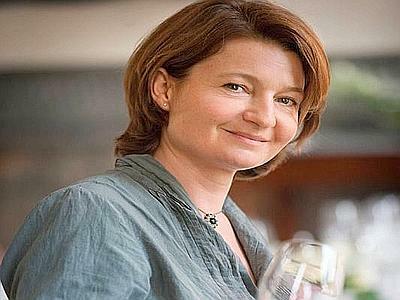 As reported by db in September 2015, following a decade of studies, Bordeaux-based researcher Dr Valérie Lavigne, outlined three main causes of the premox issue in white wine, and, notably, said that the type of closure was “just a little part of the problem” – in contrast to the views of some Burgundian winemakers, including Benjamin Leroux of of Domaine Comte Armand and Laurent Ponsot from Domaine Ponsot. Lavigne’s three overriding causes of premox in white wines have been reproduced below. Lavigne’s third main reason for premox in white wines centred on the time after primary fermentation and before the conversion of malic to lactic acid under the influence of bacteria (commonly referred to as MLF, which stands for malo-lactic fermentation). She said that is was important to keep this period “short, not 6-8 months”, as well protect the wine at this stage by stirring the lees. Although this practice, called battonage, is sometimes blamed for premox, Lavigne said that it was important at this winemaking stage to create a reductive atmosphere in the wines for their long-term resistance to oxidation. It is also interesting to recall, referring to a Master of Wine Burgundy seminar back in 2013, that Bernard Hervet of Domaine Faiveley said he had gone back to an “old school” of winemaking which involved crushing the grapes along with a light settling because he found the incorporation of more solids and phenolics provided a powerful protective influence against oxidation. a clone is but a narrow massal selection. Furthermore, it is technically possible to [a] have a clone that is thick-skinned (FPS 140 & 140.1 for example); [b] create a clone of a massal selection; and [c] make a massale selection of vines bearing the thinnest-skinned grapes. However, I think that this is more a difference of semantics than science or at least interpretation. I suspect what is meant here is that too many thin-skinned Chardonnay clones were planted and after the lessons learned, thicker-skinned Massale selection is preferred. This article is incoherent. So many of the issues are confusingly conflated. There’s discussion of premox., r.b.o., and cork taint in a very confused manner. Also the concept of premox. seems not to be properly defined. A wine that is oxidized in the winery during vinification and further oxidizes in bottle, should not be confused with a wine that has experienced little oxidation in vinification and then prematurely oxidizes in bottle when all the conditions have been met for the wine not to premox. It might be true that there maybe other reasons (pH, FSO2, lack of phenolic compounds, heavy metals, lack of glutathione) for premox., but this does not dispel that cork is a significant contributor. In Australia, if you do a vertical of any of the great Rieslings or Semillons (low phenolic varieties) from top producers, the change in age-ability is remarkable. Screw-cap almost prevents any ageing, cork wines develop much quicker! There is no doubt. Also, Laroche may have an excellent relationship with cork suppliers to receive only the best corks, but if you are small producer with no buying power out in the antipodes, good luck with receiving high quality cork!